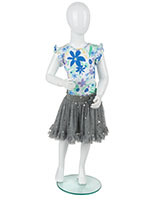 These glossy child dress forms are designed to be completely lightweight and durable. 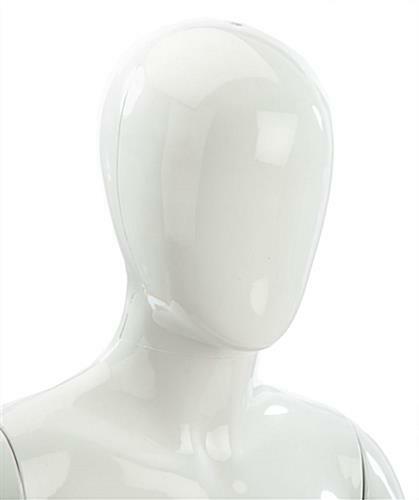 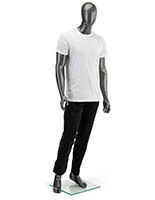 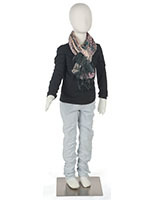 The mannequins are a great addition to any department store, retail location or boutique. 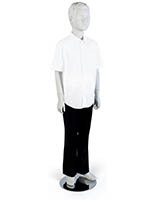 The unisex dress forms are made to hold both girl's and boy's clothing. 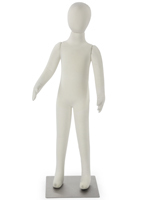 The 51" tall display fixtures can be paired with other mannequins for window and center store presentations. 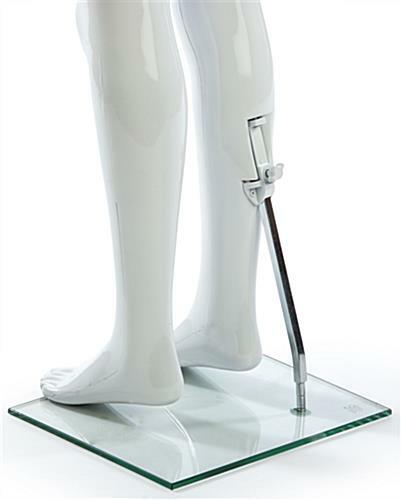 The detachable arms make propping and dressing the forms fast and easy. 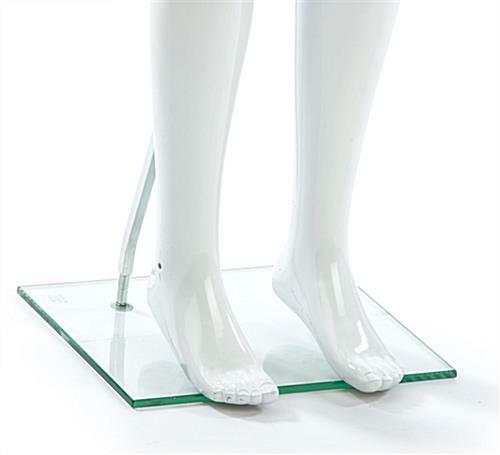 For ultra-stability, each comes with a glass base and calf rod!